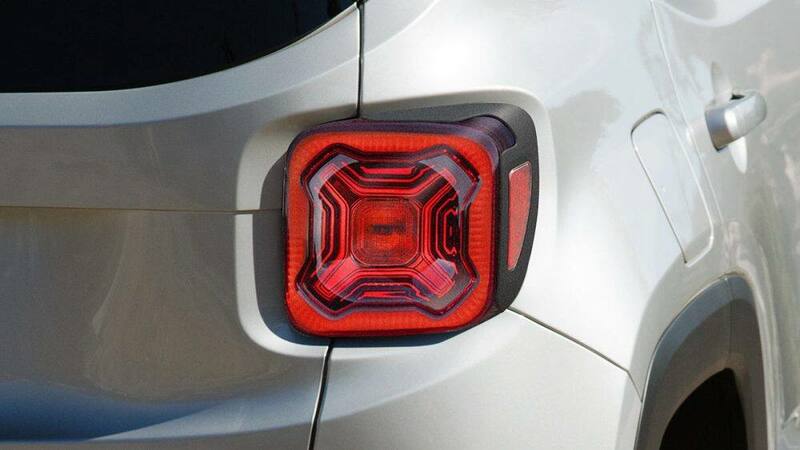 With a refreshed exterior design a new front fascias and grille surround the Jeep Renegade is back for the 2019 model year. Jeep added Slate Blue, Bikini, and Sting Grey exterior paint colors to round out the Renegade's new look. 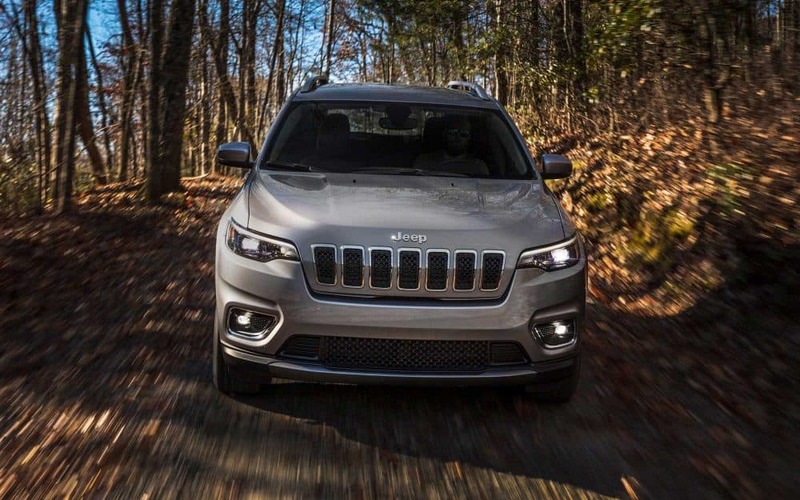 Under the hood, Jeep focused on increasing fuel efficiency with a new 1.3-liter direct-injection turbocharged engine with engine stop-start. Keep reading to learn all about the new features in this five-passenger SUV. 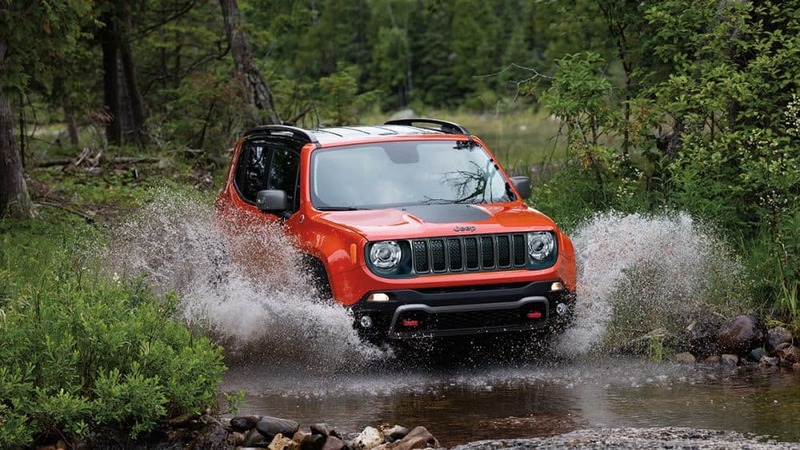 The 2019 Jeep Renegade rolls of the line with four trim levels each outfitted to handle whatever your life throws at it. The base Sport model comes with Bluetooth, a 5-inch touchscreen, a six-speaker sound system, a rearview camera, keyless entry, and a 60/40-split folding rear seat. The Sport offers several packages including the Uconnect 7.0 Group, Power & Air Group, and a Sport Appearance package. All three of those packages come standard on the Latitude and include roof rails, privacy glass, heated mirrors, a 7-inch touchscreen, Apple CarPlay, Android Auto, automatic headlights, a leather-wrapped steering wheel, and a second-row USB port. 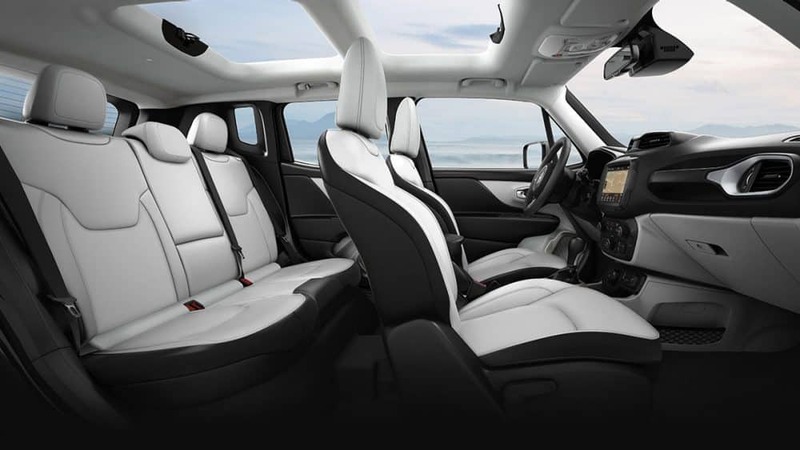 The Limited continues to add luxury with heated front seats, heated steering wheel, an auto-dimming rearview mirror, leather upholstery, upgraded driver information display, and a 40/20/40-split folding rear seat with a center pass-through. 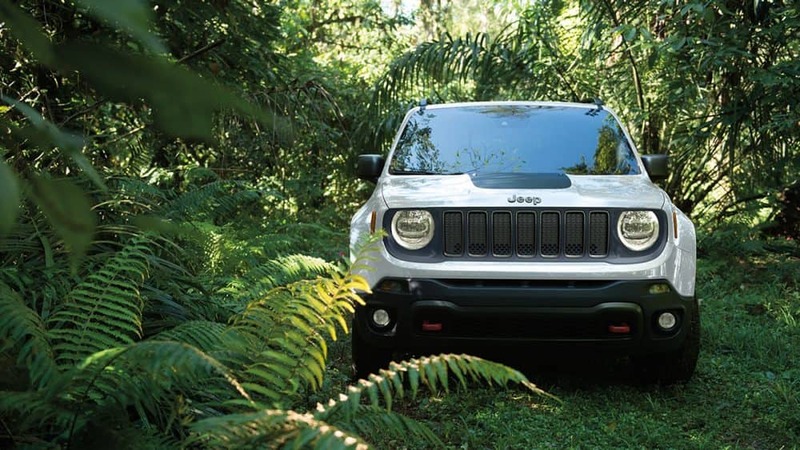 The Trailhawk model is geared towards off-roading with all-season floor mats, tow hooks, hill descent control, a raised suspension, four-wheel drive with low-range settings. With a seating capacity of five, the Renegade will have no problem getting you and your passengers to your next adventure. For all your gear the Renegade has 18.5 cubic feet of storage behind the rear seats. When the rear seats are folded down and in all but the Sport model the front-passenger seat folded down the cubic feet capacity increases to 50. What are the two engines available? A nine-speed automatic transmission and front-wheel-drive come standard on both engines available in the 2019 Renegade. Both engines have a four-wheel-drive option. A 2.4-liter inline-4 engine comes standard on the Sport and Latitude models that makes 180 hp and 175 lb-ft of torque. This engine with 4WD is rated to tow up to 2,000 pounds. 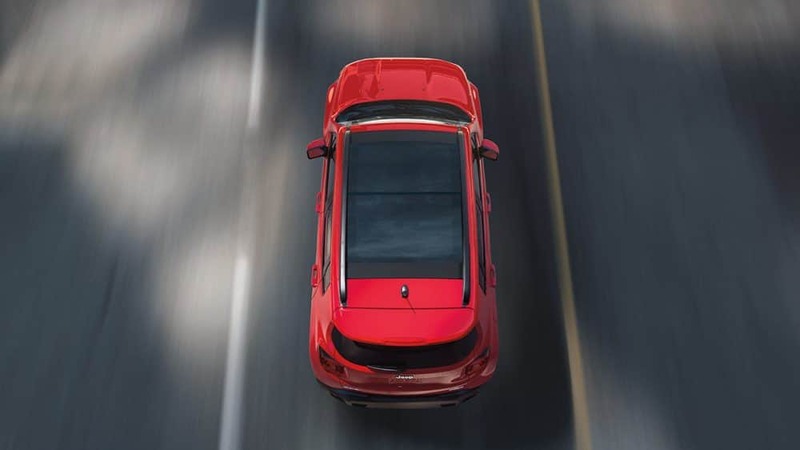 Standard on the Limited and Trailhawk and available on all other trims is a 1.3-liter turbocharged engine producing 177 hp and 200 lb-ft of torque. Jeep Selec-Terrain standard with Jeep Active Drive and Active Drive Low 4x4 systems include auto, snow, sand, mud, and exclusive to the Trailhawk rock modes. 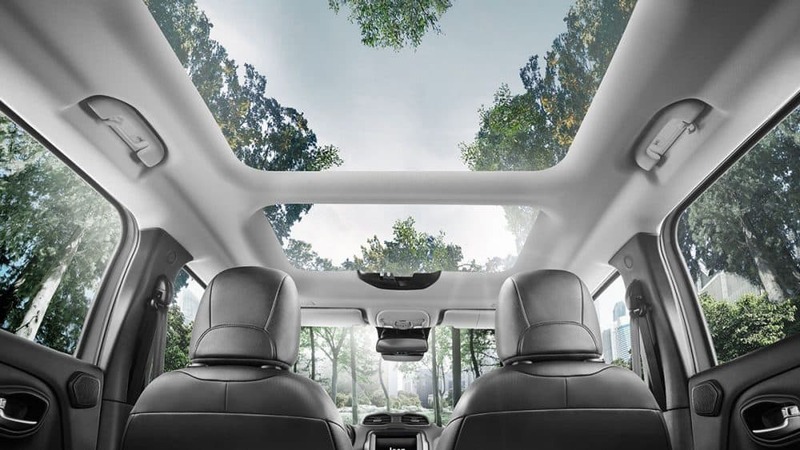 Safety is always of the utmost importance and the 2019 Jeep Renegade doesn't disappoint with 70 available safety and security features. 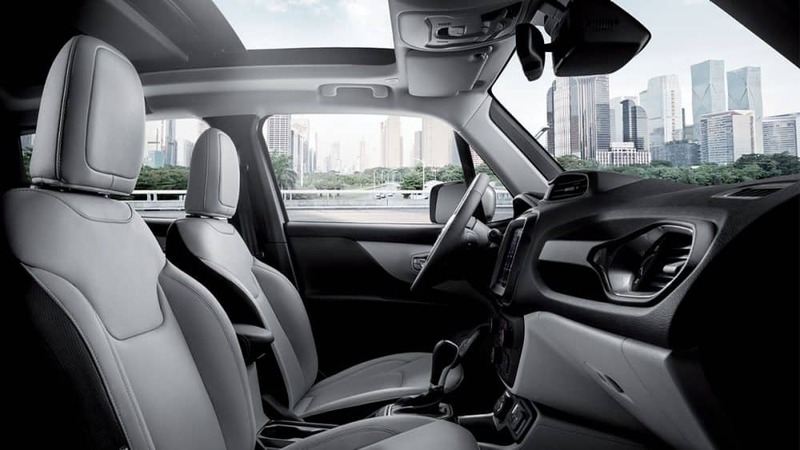 The Safety & Security Group has rear cross-traffic alert, blind-spot monitoring, and a cargo cover. 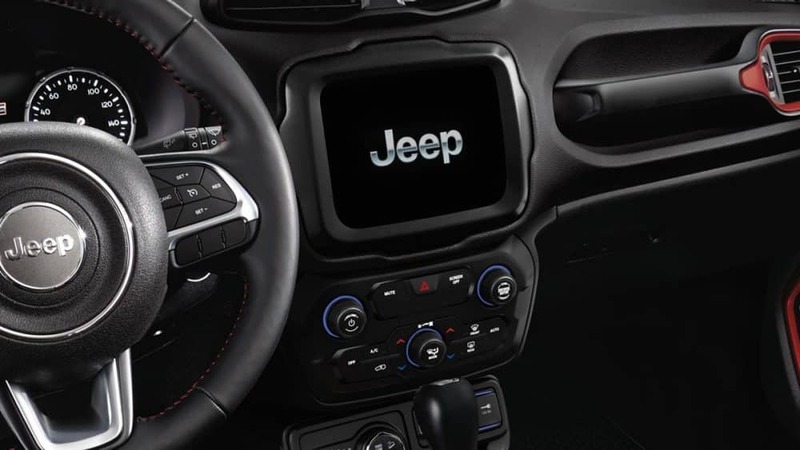 Jeep's available Advanced Technology Group includes automatic emergency braking, adaptive cruise control, an automatic parking system, and front parking sensors. Feel confidant behind the wheel with LaneSense departure warning-plus and forward collision warning-plus. Jeep continues its legacy of go anywhere capabilities with the 2019 Renegade. The combination off off-road and on-road features means you're are ready for every adventure. You'll stay adventuring longer too with the new fuel efficient turbocharged engine. 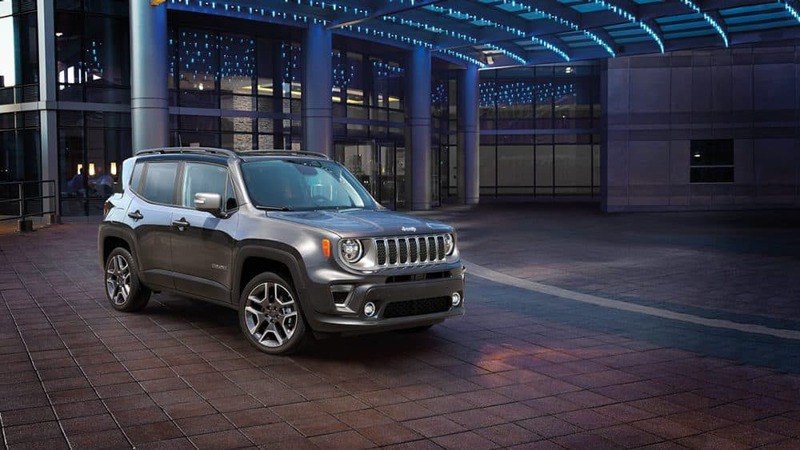 Contact us today to schedule a test drive and find out why the 2019 Jeep Renegade is the SUV for you!